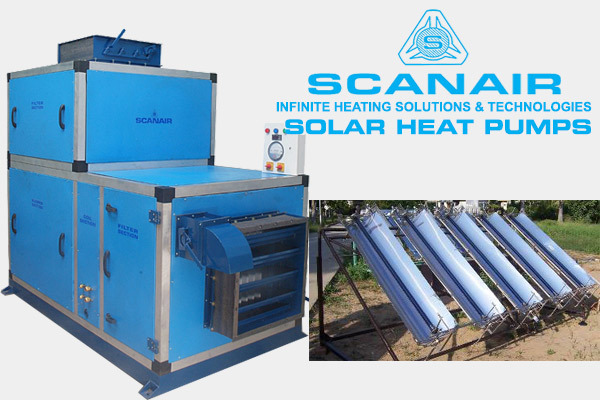 Scanair developed Solar heat pumps drying technology offers an alternative which can process the products with Solar heat pump Tumble Drier, Solar heat pump Fish Drier, Solar heat pump Spices Dryer, Solar heat pump Mango Dryer, Solar heat pump Dhal Drying Solar heat pump Meat Dryer, Solar heat pump Fruits/Vegetable Dryer Solar heat pump Tea Leaves Dryer, Solar heat pump Herbal Dryer Solar heat pump Turmeric Dryer, Solar heat pump Ginger Dryer. Higher energy efficiency with controlled temperature profile to meet product requirements. Better product quality with well-controlled drying condition schedules to meet specific production requirements. A wide range of drying conditions typically from 20˚C to 100˚C (with auxiliary heating) is feasible. Excellent control of the environment for high value products and reduced electrical consumption for low – valued products. Suitable for both high-value and low-value products. Easy conversion of natural energy for direct heating and storage resulting in significant saving of energy and better system efficiencies. Easy to implement controls strategy. Higher operating drying temperature compared to a standalone heat pump drying system. Open air sun drying has been used since long back in our country. 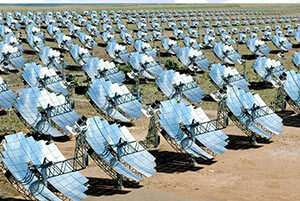 However for large scale production the limitations of drying using the sun under the open sky are well known. Among these are high labour costs, large area requirement, lack of ability to control the drying process, spoil the products due to rain fall and wind, moisture and dust, loss of produce due to birds and animals, possible degradation due to biochemical or microbiological reactions. In order to benefit from the free and renewable energy source provided by the sun numerous attempts have been made in recent years to develop solar assisted heat pump drying systems. Solar heat pumps drying technology offers an alternative which can process the products in clean, hygienic and sanitary conditions with minimum costs, important demands in industrial drying with respect to product quality control, reduced energy consumption and reduced environmental impact. For heat sensitive materials improved quality control can be achieved due to low drying temperatures and independency of outdoor dehumidified air reduced energy consumption is achieved due to the high coefficient of performance of the heat pump and the high thermal efficiency of the dryer when properly designed.